THis is part 3 of a 3-part series of the pools at Disneyland. Check out part 1 and part 2 also. 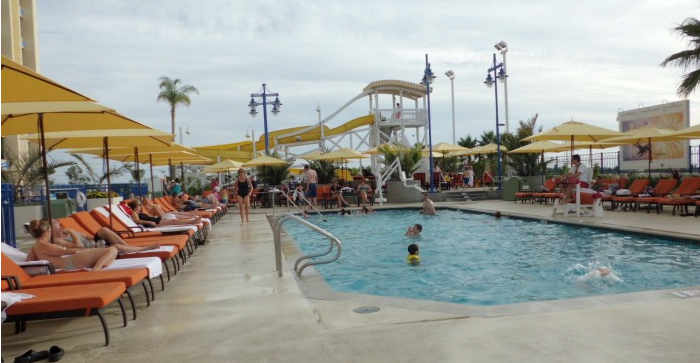 The budget-minded property at Disneyland’s Paradise Pier may be more no-frills, but the pool offers something the other two properties don’t—a respite from the typical Disney crowds. Yes, the hotel is basic, but it’s comfortable, clean and a great getaway. 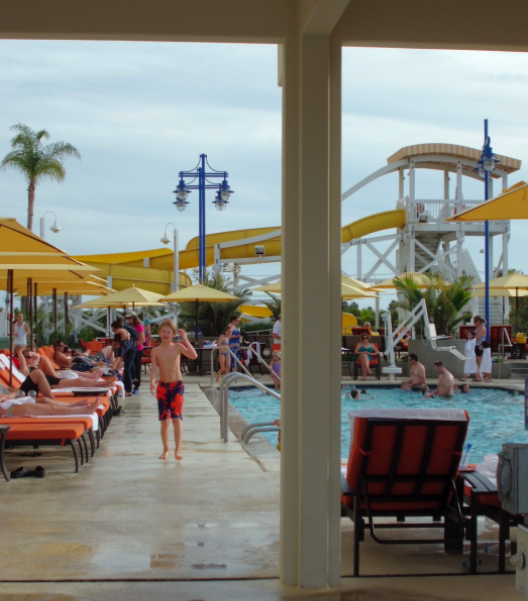 And even during the thick of the day when the other two pools are busting at the seams with families, the pool at Paradise Pier is much mellower. You can get a chaise. You don’t have to wait forever at the waterslide. 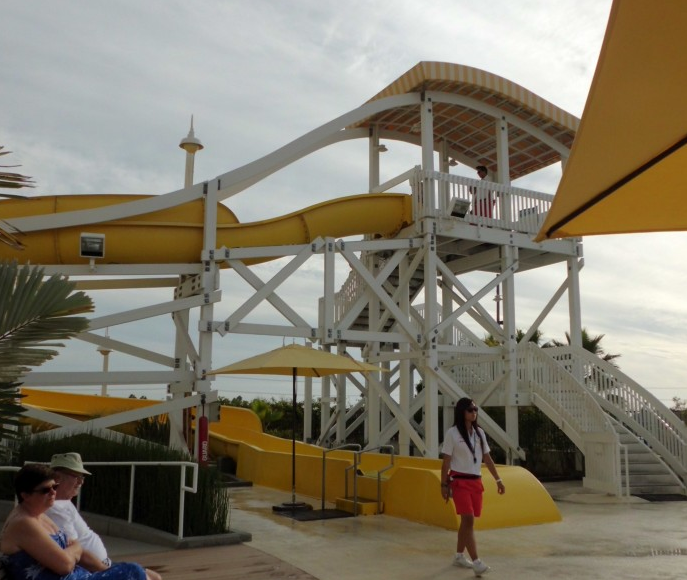 And speaking of the waterslide: California Streamin’ slide at the Paradise Pool was designed to mimic the style of classic boardwalk roller coasters (and echo the feeling inside California Adventure). It’s big and fun, and not usually as crowded as the waterslides at the other two parks. I was there on a busy Saturday and overhead people introducing themselves to each other in the hot tub, comparing notes on the attractions they had seen in the park that day. I’m sure people make connections and chat in the other pools, but the entire vibe at Paradise Pier pool was just so friendly and relaxed. I actually didn’t feel like I was at Disneyland at all. And of course they still have all of the requisite family perks like swim diapers on request, plenty of life jackets for the little ones and many lifeguards on duty. On select nights, you can even come to the pool deck for a special viewing of the Disneyland Park fireworks—including piped-in music from the park. If you’re on a budget but you still want a great Disney experience, or if you’ve tried the other two properties and are looking for fewer crowds and more laid back atmosphere, definitely check out Paradise Pier. 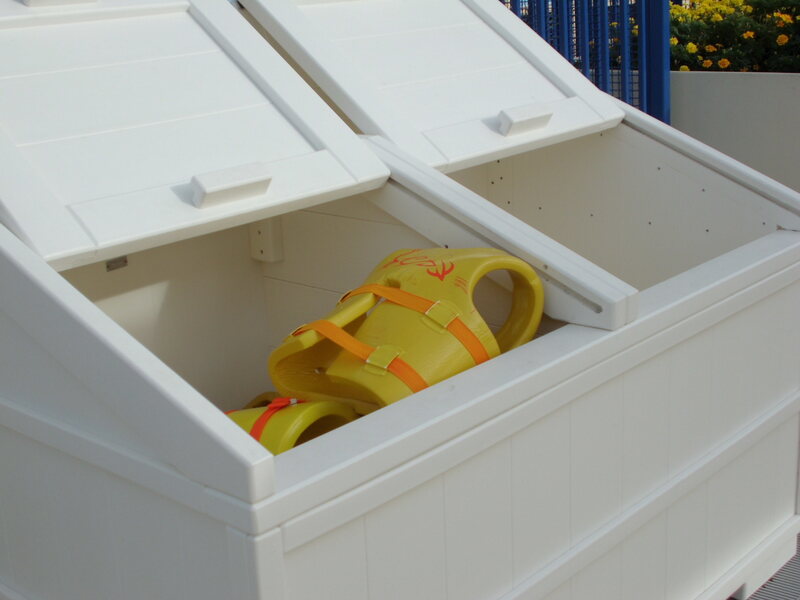 For more Disney pool reviews, click here.